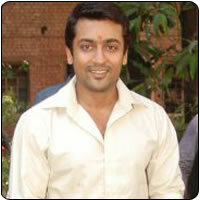 There are reports in Kollywood that the Suriya-AR Murugadoss venture, Ezham Arivu is a period film. However, it is still not clear if the entire movie is set in the BC era or just a part of it. It may be mentioned here that Murugadoss had said earlier that the concept on which EA is based is entirely new to Tamil cinema. There is also a buzz that it deals with the condition called the extrasensory perception. The film has Shruti Haasan making her debut in Kollywood and the shooting is on at full swing. EA’s camera is being handled by ace cinematographer Ravi K Chandran. Udayanidhi Stalin is producing this film. Its celebration time for Rambha!